A favorite for everyday road training and racing, this versatile wheel system produces a lightweight, dynamic ride quality that now has the added benefits of our UST Road Tubeless technology. This patented system provides seamless integration between the wheel and our new Yksion Pro UST tubeless tires that makes installation, removal and maintenance easier than ever. And you get all the benefits of tubeless, including less rolling resistance and a smoother, more controlled ride quality. Without tubes, you can run lower tire pressure with no risk of pinch flats, and the sealant helps prevent punctures. The rims are engineered using our ISM 4D technology and a wider design (19mm internal/23mm external). ISM stands for Inter Spoke Milling, a unique process that trims the thickness of the rim wall between the spokes to create a rim that’s lighter but still very durable. To reinforce the front wheel for disc brakes, we increased the spoke count to 24. The hub is compatible with a 12mm thru-axle, 15mm thru-axle or quick release. 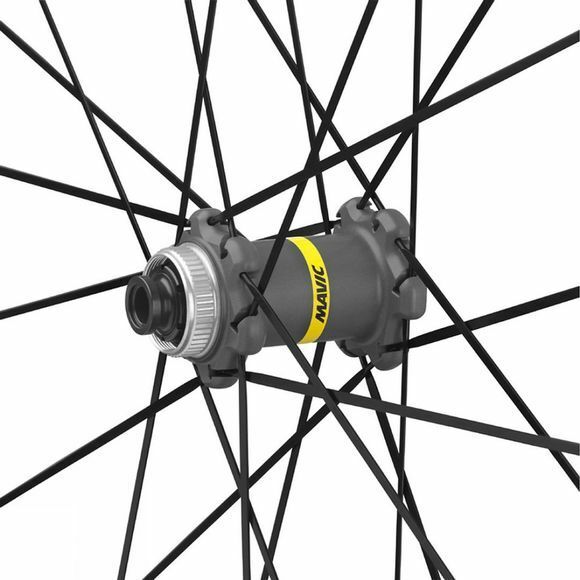 The rear wheel uses 24 straight-pull spokes laced to our lightweight, fast engagement Instant Drive 360 hub mechanism. Delivered in 12x142, it can be also converted to regular quick release. It’s compatible with Shimano or SRAM cassettes and can be converted to Campagnolo or SRAM XD-R. Roll faster and smoother with a reduced risk of punctures. With UST Road Tubeless, no tube means no friction. So you experience less rolling resistance and higher speeds. UST Road Tubeless lets you ride with lower tire pressure for smoother ride and a reduced risk of punctures. Our patented UST system offers a perfect union between tire and wheel, so installation, removal and maintenance are easy. Climb, accelerate and sprint faster. 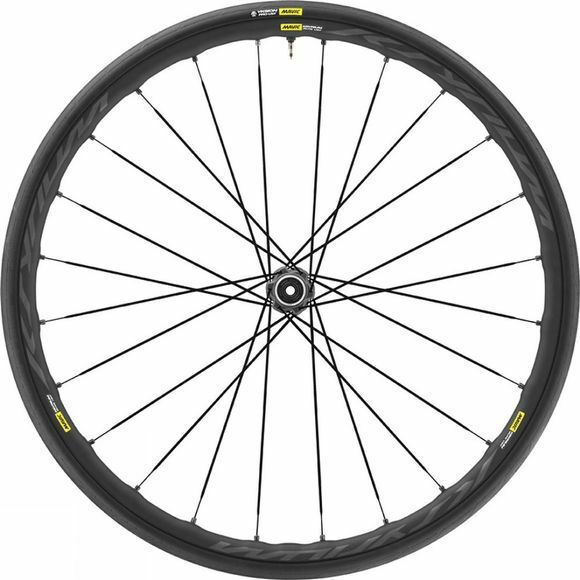 19mm internal rim width increases air volume. Double-butted steel spokes keep the weight down, for a fast and comfortable ride. Powerful, reliable disc brakes for more confidence and control. Front hub convertible from 12mm or 15mm thru-axle to quick release.